“Today, we’re excited to announce the release of micro:mag Issue 3! We’ve got an amazing Issue for you this time round, packed full of amazing articles by our awesome community. Here is a quick look at what we’ve got to offer this time round. Enjoy Issue 3! 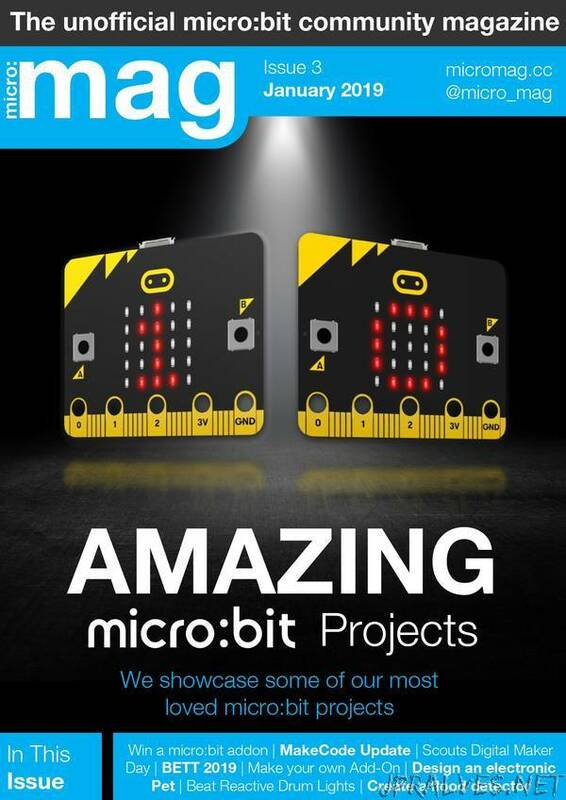 This issues Cover feature is “10 Amazing micro:bit Projects”. We’ve gathered together 10 of our favourite micro:bit projects we’ve seen doing the rounds of Twitter and other micro:bit communication channels, it was not an easy process to decide on our top 10 as there are so many amazing projects. We hope this inspires people to get creating with micro:bit! Pimoroni Pirate and ex teacher, Tanya Fish, shows us how to make our own micro:bit add-on boards from house hold materials. This tutorial is amazing for people who are getting started with the micro:bit and want to have a go at hooking things up to the Edge Connector and learning Physical computing! Make a flood detector: Les Pounder shows us how to make our own micro:bit flood detector! Minecraft + micro:bit: Connect up your micro:bit to Minecraft Raspberry Pi edition using BitIO. Microsoft MakeCode update: Learn more about what’s new in the latest v1 release from the MakeCode team.